Turkmenistan has reformed and developed the field of national healthcare, giving it a status of the multipurpose system of social protection. An important part of public health policy is to consistently implement a strategy to reduce the morbidity of the population. Turkmenistan ranks first in carrying out immunization activities, occupying a leading position in the region in terms of availability of vaccines and immunization. In Turkmenistan, the vaccination is free. Hib-vaccination started on January 1, 2010, which is also one of the most important preventive measures for the population. The Program “Saglyk” (“Health”) is being implemented step by step through a strategy lowering morbidity. Turkmenistan, wholly or partly got rid of many kinds of diseases. 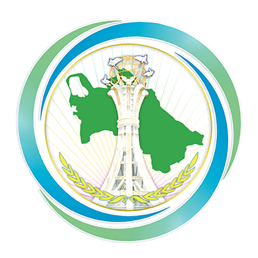 Therefore, in 2000 the country was awarded the certificate of the WHO for the eradication of dracunculiasis.In 2002, Turkmenistan was granted a certificate forthe cessation of circulation of wild poliovirus on its territory, which indicatesthe total eradication of polio. Turkmenistan is the first among the CIS and Central Asian countries and fourth in the world for universal salt iodization in accordance with accepted international standards; and, therefore, it was recognized as the country where one of the pressing problems of mankind - iodine deficiency, as mentioned in the certificate of the WHO in 2004, was eliminated. In order to prevent diseases associated with a lack of iron in human body, Turkmenistan, in close cooperation with foreign partners, implemented a number of major projects for the enrichment of food products, particularly flour and salt. A part of the health care system is to built a state policy in the realization of policy goals for maternal and child health. The widespread establishment of health centers “Maternity and Childhood” (“EneMahri”), the successful implementation of national programs on breastfeeding and anemia control were highly appreciated by the major international organizations. These measures enabled to decrease twice the infant mortality for the period 1990-2010 and managed to decrease the maternal mortality 10 times. Intensive work on fighting with diseases such as malaria, measles and rubella is being conducted in the country. The country finishes the process of the complete elimination of malaria. The country has the lowest ever record in tuberculosis. In October 2010 Turkmenistan was recognized as a malaria free country. This event was officially confirmed by the special certificate of the World Health Organization. The result of the successful international partnership for prevention and prevention of HIV infection is the fact that Turkmenistan is among the few countries where HIV infection and AIDS have not been spread.